You Save: $2.00 (10%) Ships in 1 day. Spiral Bound, 66 pages, 8.5 x 11. 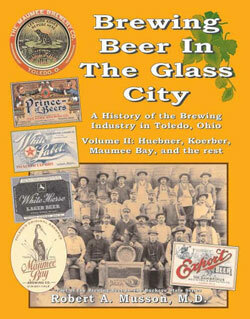 Part of the Brewing Beer In The Buckeye State series, Brewing Beer In The Glass City, Volume II gives a pictorial history of Toledo's Huebner, Finlay, Grasser & Brand, Eagle, Home/Koerber, and Maumee/Lubeck Brewing Companies, along with the brewpubs of the modern era, most notably the Maumee Bay Brewery, operating today in a hotel building from the mid-1800s! 66 pages in length, the book contains 300+ images, most of which are in color, showing people, buildings, floor plans, advertising, labels, cans, and you name it! 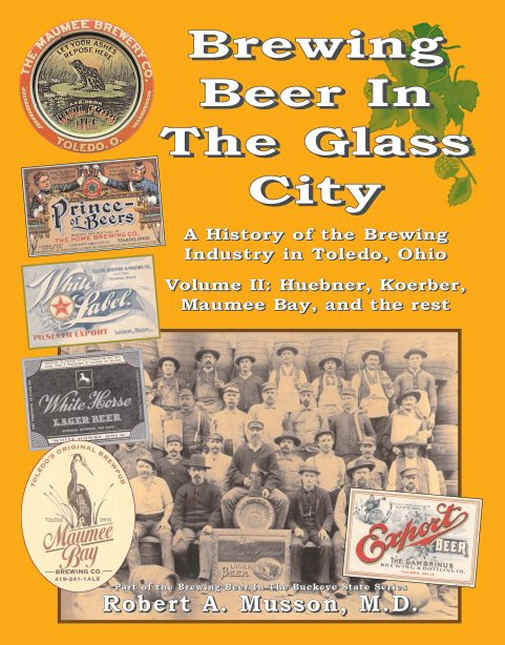 Explore the history of more than 170 years of brewing beer in the city (and see Volume I for the history of the Buckeye Brewing Company). Find out which Toledo brewery was partially owned by a noted mob boss, and which one was destroyed by a massive explosion!